The sun beat down upon the Sector, beads of sweat traveled across my scars, highlighting the painful reminders of the life I’d come to live. According to the tablets hanging throughout the Sector, it was going on 7AM. Most of my fellow residents were still in bed, having spent the better part of the previous night scouring for food and shelter. That used to be me until I found a way out and a way into the Family Sector. But still, even with the silence enveloping the Sector, I knew better than to keep my hand too far from my weapon. There were still others like me that lingered in the shadows, hidden behind the weather beaten shacks, eager for a chance to attack, a chance that I wasn’t willing to give them. Even after losing everything, I wasn’t ready to die. I guess one could say that I was a glutton for punishment. My fingers reached inside of my pocket, searching for the hunting knife that I had received from my father long ago. It was one of the few things I had left to remind me of him – of the times when I still had a family, a home, a life. Out here, in the Homeless Sector, I was on my own and the only way to survive was to fight. So that was what I did. Every. Single. Day. I wasn’t the best fighter within the Sector – as evident by the scars that lined my body – but I was damn near close. I could see the image of the ocean filling the tablets as I made my way through the empty streets, on my way out to the Widowed Sector. After the Outbreak left our world in discord, people feared that the end of the world would follow. They began to fear large bodies of water, believing they would come to wash away what little had survived the Outbreak. It hadn’t helped that Troum, our newly appointed leader, had made it a point to remind the others of the water bordering the state on a daily basis. He’d promised that he’d protect us – though I was sure that promise was aimed more so at the Family Sector than the rest of us, seeing as we were considered the garbage of the state – and they’d believed him. Sometimes I wondered if their brains actually worked, or if they recalled anything they’d learned before the Outbreak. Spark is one of two digital shorts that takes place during Submerged. It is very short (approximately 3,000 words), but it offers a better explanation as to why Glate helps Taylen, while also providing a better perspective on his life within the Homeless Sector. 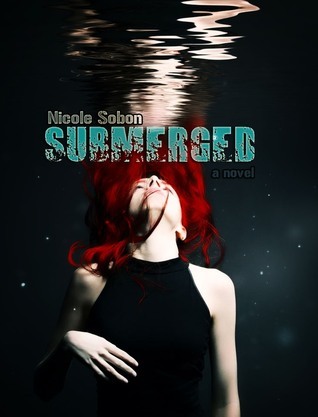 Nicole Sobon is a YA author of several novels, including Program 13, The Emile Reed Chronicles, Capture, No Place Like Home, and the latest Submerged. This is the first in her dystopian duology.